Severe revival of Winter for the Northern hemisphere on the cards ? A very interesting and informative write up on the present winter, and its reasoning by fellow meteorologist and friend Rajan.Highly recommended for complete reading ! Big pattern changes in winter coming? 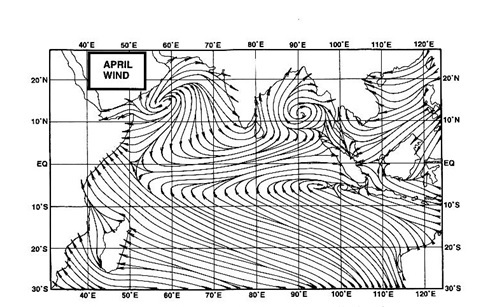 Arctic Oscillation Flips to Negative..read Rajan's Blog here. On the same topic, Mark puts up something very interesting too ! HE GREAT FIGHTBACK OF OLD MAN WINTER MAY HAVE JUST BEGUN...Arctic Oscillation & North Atlantic Oscillation both suggest the coming of cold to the USA and much of Europe. Both may be shivering by Jan 20. Cold wave has gripped the plains of Northern sub-continent region, with Amritsar dropping to -2c on Tuesday morning.Incidently, this was the projected temperature for Amritsar put up on Vagaries' weekly forecast map, alongwith the 4c for Delhi. Mumbai and Pune, however,gave vagaries the slip while going down to 11c and 7c (vagaries had predicted 13c and 9c respectively). Vijaywada on the east coast was lashed by heavy rains today, recording 73 mms. In Orissa, Bhubaneshwar measured 14 mms in the day.Rains will persisit till tomorrow in the region. IMD has annonced the withdrawal of the NEM from the Southern states today, 10th Jan.
J-2, will precipitate rain/snow over the Northern/Central regions of Pakistan from Friday, 13th, and move into India the next day. Karachi and Sukkar will have partly cloudy skies. Rise in temperatures till Sunday. Rain in some regions of upper Sindh. Precipitation all over the north will be heavy on the weekend.Snowfall again in Kashmir and H.P.will disrupt traffic and vehicle movement. At this stage,it is felt that further east, J-2 precipitation will not be effective beyond western most Nepal. NW winds sweeping the plains of NW/Central and Western India will bring down the temperatures in the region from next Monday..shall discuss later. Mumbai: A rise in night temperatures to around 16c (S'Cruz) from Thursday morning.Weekend will be mild and pleasant. Fall again from Monday night. sir you are doing great job.your forecast for upper sindh pakistan good. nasir:Thanks Nasir, for reading. Please keep your views and suggestions coming..your feedback on local weather and pics welcome to put up on vagaries' inter-active page. ghosh: Kolkata will see a short term cooling down for a couple of days on Fri/sat/sun. North winds will cool down the city. However the day temp will rise to 25c. Next week, a rise in humidity may see a rise in night temp. Shall put up more later in my weekly forecast. are you a regular reader of vagaries ? What are your views on the blog ?Do you think adding the eastern forecast will help ?Do not see many followers from your side.